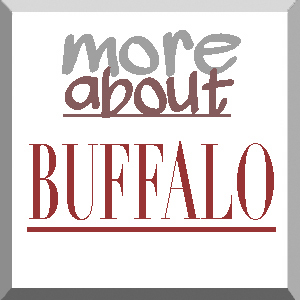 Sacred Buffalo People has it all: animation, traditional story-telling archival photographs, different musical genres, paintings, diagrams, star constellations...Lovingly made...It is a "must-see" for those seeking knowledge of our stewardship of nature. The buffalo, or American bison, was once a vital and integral part of the culture of the Plains Indians, and was the centerpiece of a spirituality that honored all living things. Sacred Buffalo People uses history, dance and folklore to explore this relationship between the buffalo and the tribes of the Northern Plains. The culmination of three years of filming, this is the story of the renaissance of the buffalo, a native American species nearly driven to extinction by the 19th century Indian wars, and the amazing parallel between its experiences and those of the Indian people who depended on it for their survival. In the mid-eighties, the Mandan-Hidatsa-Arikara tribe of the Fort Berthold reservation acquired a herd of buffalo form the National Park Service. In this program, we see the buffalo returning to the Plains, and hear the comments of the Native historians, story-tellers, rodeo riders, and artists who made it possible. The program illuminates that history, and goes on to show how, with the restoration of buffalo, modern Indian people are finding ways to renew their ties with this venerable and magnificent animal.